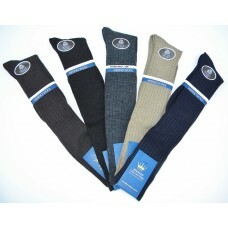 This is one of our best selling over the calf socks. Merino wool is a great durable material specially , it can be used in all seasons. 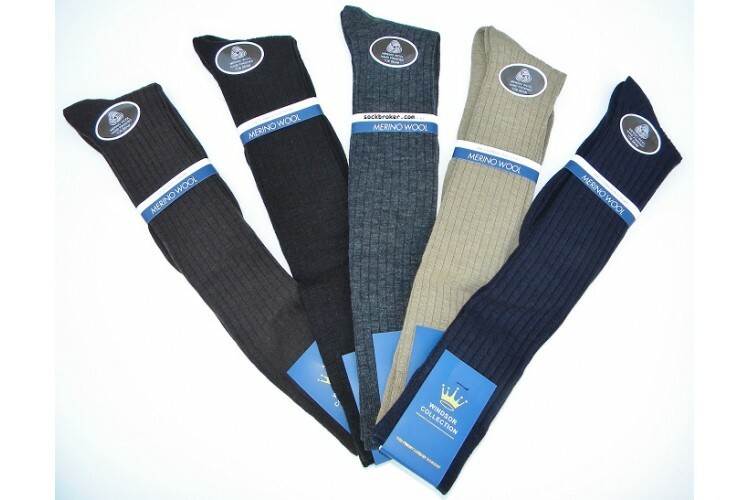 This Windsor merino wool over the calf socks is made of the softest wool yarns available, 10 years ago it took 3 years and 8 different batches of socks for us to perfect this sock. Fits snuggly against your feet, does not shrink, does not wrinkle, will not fade, and has just enough spandex to make it stretch right. If you are looking wool OTC we have customers who have come back for this sock over and over again over the past 7 years and have switched from Gold Toe brand to ours. Flat toe seam for the ultimate in comfort. If this sock had a "Versace" label on it would sell for $37.00 a pair.